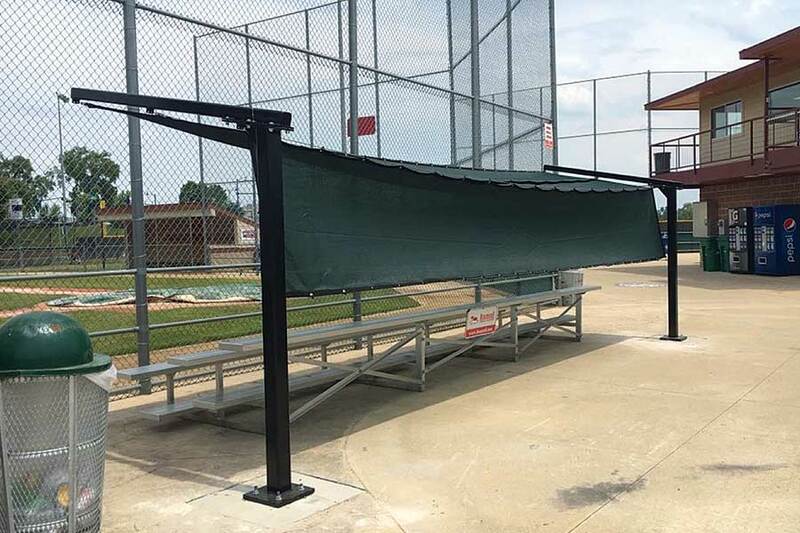 FEATURED PROJECT: The Bleacher Defender. At the Verona Little League facility they have four ballfields in close proximity. A common scenario around the country at facilities with “quad” field layouts. The fields are close enough to each other that foul balls from one field pose a danger to spectators watching another game at an adjacent field. 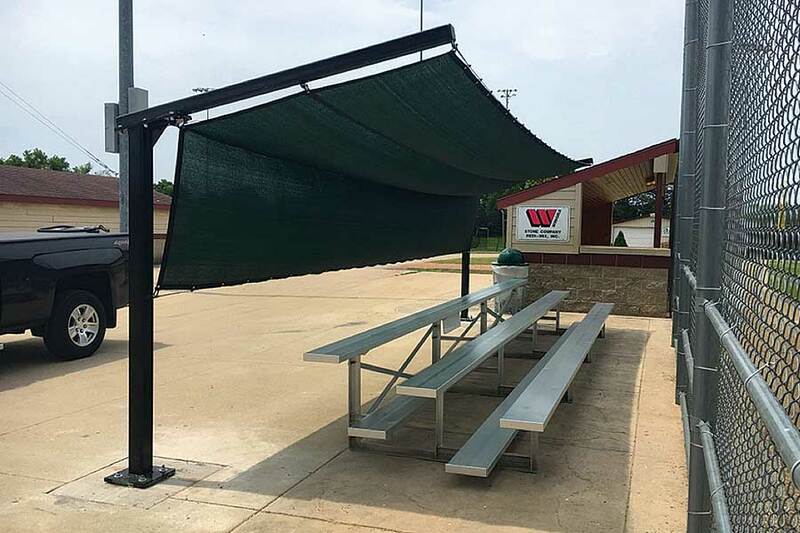 Typically, the solution to provide a more safe environment involves huge barrier nets or a full net canopy covering common areas. 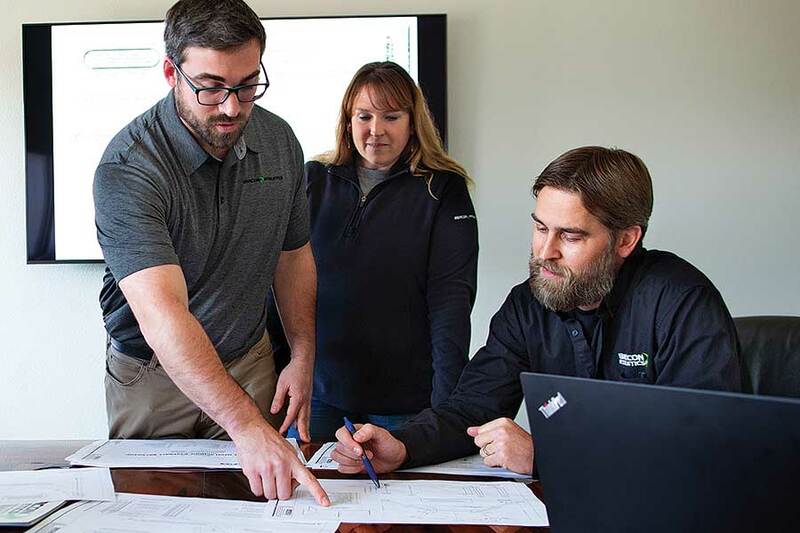 Verona was looking for a more cost-effective solution. Beacon’s Project Services Team designed and implemented our Bleacher Defender to protect spectators. 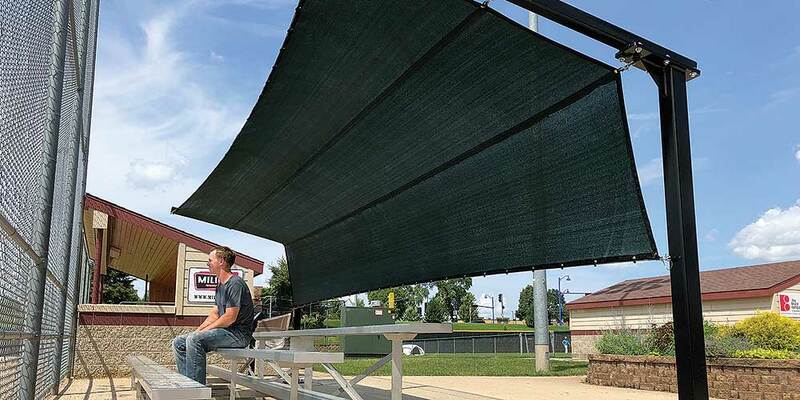 In addition to protection from errant foul balls, the overhead fabric also provides much needed shade and a splash of color. Bleacher Defender was installed over the existing three-row bleachers at each field. A coordinated effort from contractors and volunteers ensured a smooth process. A local cement contractor donated time to pour footings, while volunteers attached supports and overhead fabric. Beacon’s FUSELink system provides tension overload protection from excessive winds or snow loads. However, the easy-to-remove fabric will be taken down in the offseason to extend its life.